Based at Gardners Farm, near Badminton, Alicia has access to fantastic facilities and over 1300 acres of farmland to produce and train event horses. Having successfully moved through the British Eventing Pony, Junior, Young Rider and CCI3*-S programmes, now 24 years old Alicia is now competing internationally at CCI5*. Alicia has self-produced multiple horses, including three to Advanced level, and gained multiple wins and placings in Senior International competition. At the age of fourteen she completed the National Pony Championships, and continued to gain top 8 placings two consecutive years at the Junior National Championships and became Reserve Champion at the U18 National Championships in 2011. At the age of sixteen Alicia placed Top 10 at the Senior National Novice Championships held at the Festival of British Eventing, and was subsequently long listed to compete as part of the 2011 Junior European Eventing GBR Team on NANKIN DES RUETTES. The following year they were selected as first reserve. 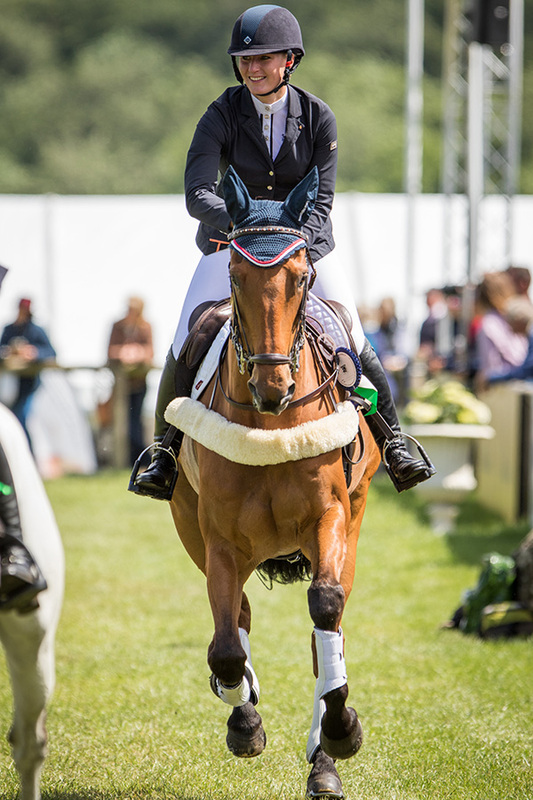 In 2015 NANKIN DES RUETTES and CHARLES RR were longlisted for the CIC** European Championships. Notable Senior International results include; 5th Hartpury CCI3*-L 2014, 2nd Tatts CCI3*-LU24 2015, 1st Aldon CCI2*-S 2016, 3rd Bramham CCI4*-LU25 2017, 3rd Hartpury CCI3*-L 2017, 1stBicton CCI2*-S 2018, Pau and Badminton CCI5* completions, and WINNER British Eventing Mark Todd Bridging the Gap Scholarship 2017. Alongside Eventing Alicia has also gained a first-class degree in Sports Performance BSc (Hons) from the University of Bath. During her time at Bath she was selected to receive a Sports Scholarship.